Definition of Tribe Totems: Native American Tribe Totems are the emblems of tribes that reflect the lineage of a tribe, reminding them of their ancestry or their mythical past and creation myths. The word totem is derived from the Ojibwe word 'odoodem' meaning "his kinship group". Many tribes also hold the belief that their people have Tribe Totems that are spirit guides who sometimes appear in dreams or Vision Quests in the form of animals. These Tribe Totems, or spirit guides, walk through life with them, teaching and guiding them and protecting them. Tribe Totems are particularly associated with the Totem Poles that are created by six tribes of Northwest Indians, the indigenous people of the Pacific Northwest Coast but other Native Americans hold similar beliefs. For additional information refer to Symbols and Meanings and Animal Totems. Tribe Totems all had a special meaning, characteristics and significance. Some Tribe Totems are Animal Spirits that can be called upon, by an individual or a tribe, for its special powers to serve as a guardian or protector when the tribe is facing adversity. Tribe Totems were believed to have spiritual significance and watched over the tribe symbolizing their guardian spirit or helper. The names of the Tribe Totems for many Native American Tribes are detailed on the Tribe Totems chart. For additional facts and interesting information refer to Totemism. The concepts of Totemism, Animism, Ritualism and Shamanism should all be considered to gain a full understanding of the religious beliefs of the Native American tribes that included their Tribe totems. Each one of the Tribe Totems had a special meaning, characteristics and significance. The following list details the common Tribe Totems used by Native Indian Tribes across North America. Also refer to Power Animals. 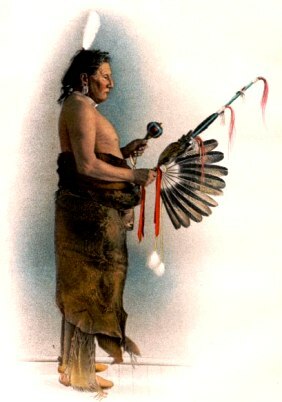 Huron or Wyandot - Turtle, wolf, bear, porcupine, beaver, deer, snake, hawk. Ojibwa - Crane, catfish, bear, reindeer, wolf, pike, lynx, eagle, rattlesnake, moose, cormorant, goose, sturgeon, beaver, gull, hawk, turtle, snipe, duck, snake, muskrat, heron, water snake, wildcat, otter, buffalo, grizzly bear, reindeer, pike.